A committed advocate and creative problem solver, Karen focuses her practice in the areas of utilities, zoning and land use, telecommunications and administrative law. Karen represents numerous privately-owned and municipal water and wastewater companies, natural gas companies and telecommunications companies in regulatory matters before the North Carolina Utilities Commission and in the purchase, sale and construction of facilities. She also regularly represents telecommunications clients before state governmental agencies, permitting officials and local zoning boards throughout North Carolina, as well as in appeals in state and federal courts. She frequently appears before boards of commissioners and city and town councils to obtain rezonings, special use and conditional permits, ordinance interpretations and variances. Additionally, Karen defends complaints and handles hearings for professionals before administrative agencies, including the North Carolina Medical Board, the North Carolina Real Estate Commission, the North Carolina Board of Electrical Contractors and the State Revenue Department. 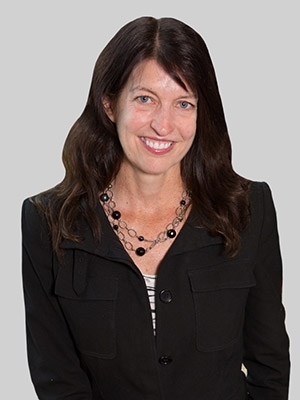 Karen was a partner at Smith Moore Leatherwood LLP, which merged with Fox Rothschild in 2018. She began her legal career as a law clerk at the North Carolina Court of Appeals. Karen is involved with her three sons’ school and sporting activities, and is a competitive runner, cyclist and triathlete. She is a past Vice Chair and former Board member of WakeUP Wake County, a non-partisan non-profit organization that represents taxpayers and is a voice for people who believe they need to plan well for growth, development and healthy, vibrant communities in Wake County. She also served as the Chair of the Water Committee for WakeUP and volunteered her time for the Wake County Guardian ad Litem program. Karen is a regular contributor to the Elements for Growth Blog which provides news, information and resources about infrastructure and economic development in the Southeast.